Ready for this 7 hour Hidden Treasures soy candle giveaway hosted by Acadiana’s Thrifty Mom?This fast and furious giveaway for an awesome candle that could have a certificate for a FREE iPad in it!I am very exited to be a part and to bring you this. 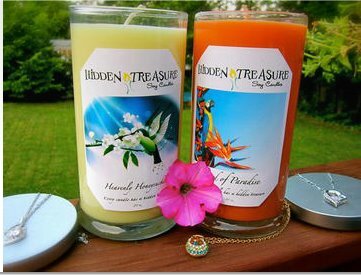 You can read more about Hidden Treasures Candles HERE. All you have to do is enter the super simple Rafflecopter below and check your email tomorrow to see if you won! Good luck Everyone! Terms and Conditions:Giveaway is open July 21st. The prize is a Hidden Treasures Candle. Must be 18+ years oldWinner must reside in the US. No purchase necessary. All entries must be done via rafflecopter. 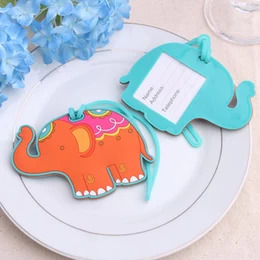 Giveaway is in no way sponsored, endorsed or affiliated with Facebook, Twitter and/or Pinterest.By entering giveaway you accept and agree to all terms.Winner will have 24 hours to respond to winning email… If not a new winner will be drawn. I’m a big Yankee Candle fan but I’ve never had one of these! Hi there. I like anything fruity. It doesn’t matter the particular scent, as long as it is fruity. I can’t really say what is my favorite, as I haven’t really smelled any of your candles personally. I really love my yankee candles! really want to win one! This would be fun to win! I love anything fruit scented….pineapple, mango, I’m not picky! I like Something with a fresh rain smell. Or maybe a fruity smell like fresh Berries….. Thanks for the chance.. I love Yankee candle and Bath and Body Works Candles! personally I am a Scentsy fan! Would love to try any of them but my two favorite scents are coconut and cinnamon. Thank you for this awesome giveaway hopefully one day will win one and get to try them!!! already a fan of all the fb pages thank u! Yankee Candles and I love Vanilla scent!! i think i would like country clothesline the best. Scentsy for candles but I love Sweet pea and they dont have that scent. Ashley Pomykala recently posted..Grocery Coupon Network saves you money! I have heard wonderful things about these candles! I would love to try Country Blueberry! I used to buy Yankee candles, they were the only brand available in town. Yankee Candle – Christmas Cookie is my ultimate favorite!! I Love vanilla Scented candles …. I love Yankee Candles and Super Lotion. I would enjoy any of them. I burn candles all of the time! Thank you for the chance! I love Scentsy! I would love to try one of these candles to see how wonderful the scents are? I like Bath and Body works candles. I don’t generally burn candles but went on a limb and purchased a hidden treasure candle. Birds of paradise smells amazing! Would love to win another! A prize inside a candle? Sounds fun to me!! I love any candles! I really like Bath and Body Work Candles! I really like Yankee Candles, but am looking forward to trying a Hidden Treasure Candle. Its a tie between bath and body works and glade.